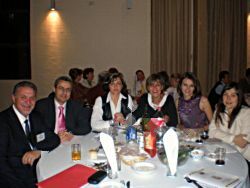 More than 300 gusts attended the Anniversary Dinner for the 30th Year since the establishment of the NSW Federation of Community Languages Schools AT NINEVEH SPORTS & COMMUNITY CLUB. 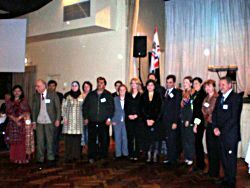 The function was attended by numerous politicians and diplomats, among them the Hon. 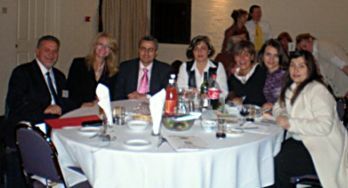 Barbara Perry MP who represented the NSW Premier, Ms Virginia Judge MP (Parliamentary Secretary for Education) who represented the Minister for Education and the Hon Gladys Berejiklian MP, Shadow Minister for Transport and Citizenship who represented the leader of the opposition Mr Barry O’ Farrell. Our Principal Mr. Gonopoulos was the MC for the night.